Grubs Rainline Wellingtons. 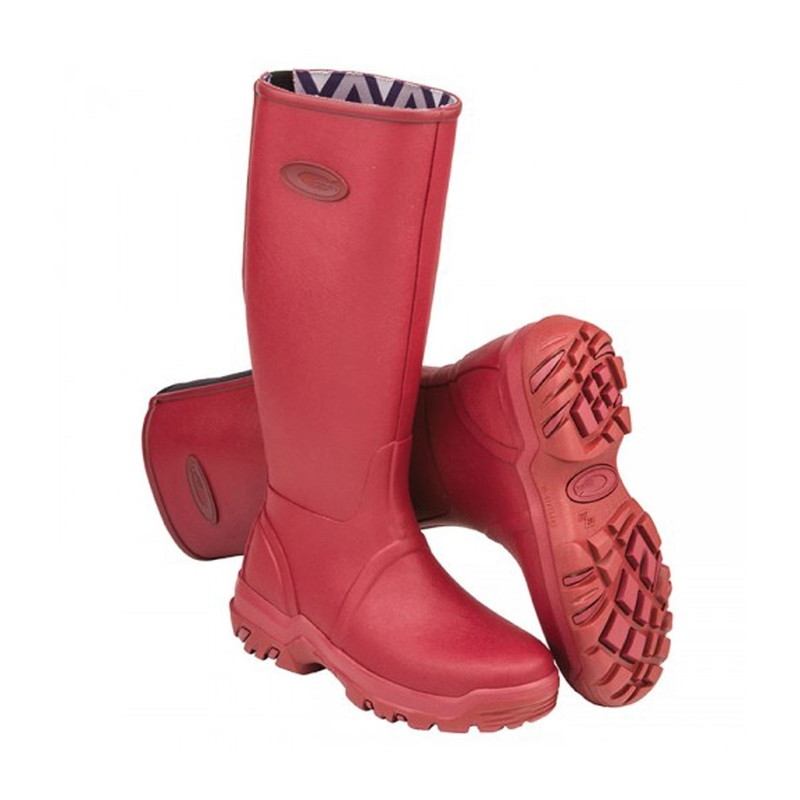 The Grubs Rainline Heather Wellington is a boot that is great for when the temperature begins to turn. With a Nitrocell footbed to insulate your feet and keep the cold surfaces that you're treading on at bay. To compliment this, the boot also has a Super-Dri lining which uses thousands of tiny fibre loops which wick away the moisture in the boot, keeping the wearer dry and comfortable whilst stopping the build-up of sweat. The sole of the boot is a Trax Duraprene base which is ideal for wet conditions as the boot has in-built channels to remove the moisture and self-clean the boots through just being worn, whilst also providing great levels of grip for the wearer. My second pair of these wellies (have gone for new colour this time!). They are the most comfortable and warm wellies I have ever had. My only issue with the last pair was that they badly perished with holes forming where they crease around the ankle. I had had them 2 to 3 years and had used them a fair amount but only during the wettest months. So that was quite disappointing as they are meant to be a quality product with the price to match (though by no means exorbitant in my view). This time I have bought the recommended product (Armorall) for cleaning and protection so I really hope that using that regularly will ensure they last longer this time.